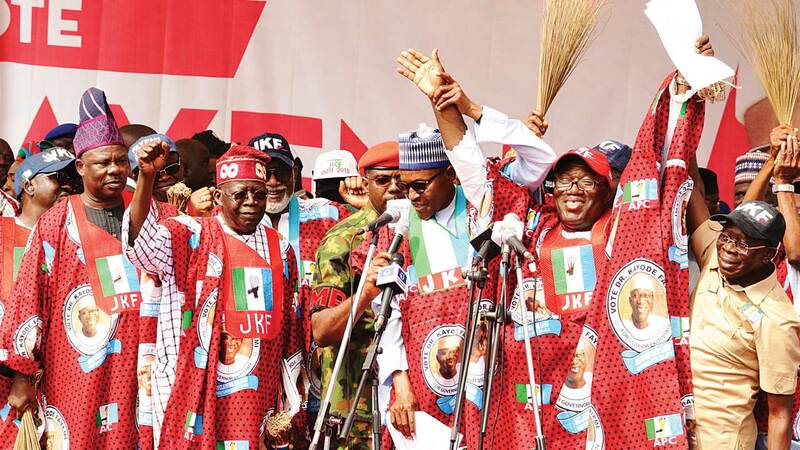 A group called APC Youths Renaissance has disclosed that activities of a faction of the All Progressives Congress (APC) in Taraba State remain illegal, describing the statement issued by the faction as not only libellous, but also deceptive, asking aspirants on the platform to disregard the ongoing pre-screening exercises faction. It stressed that, “For the sake of clarity, let it be noted that a Federal High Court recently granted an order restraining Ibrahim Elsuldi from parading himself as Chairman of APC in Taraba State as well as restraining him from taking over the party office in the state. “We believe that the position of the court is very simple for anybody to understand without further interpretation! “We therefore wonder why the illegal organisation led by Mr. Elsuldi would jump the gun by asking aspirants who duly purchased nomination and expression of interest forms on the platform of our great party to ignore and disregard the ongoing screening exercises duly approved and contained in the schedule and timetable of activities released by the national secretariat of our party as guidelines for activities leading to primary elections. “It is also worthy to state here categorically that the national secretariat of the party approved and endorsed; that screening of all aspirants who purchased forms for various elective positions in the party is to hold from September 15 to September 18, 2018 across the country. “Therefore, we wonder what gave the proscribed organisation the temerity and the impetus to make the libelous and contemptuous public statement capable of lowering the estimation of our great party before the right thinking members of the public. “There is no doubt that the illegal association has breached the constitution of our great party which says that no member or group within the party should indulge in any act capable of bringing the party to public odium. “Therefore, we ask all aspirants who bought nomination and expression of interest forms of our party in Taraba State to ignore the misleading statement credited to the illegal organisation in the state. “While we warn the illegal association in the state to desist from taking further contemptuous action or making libelous statement against our great party, we advise aspirants in Taraba State to submit themselves to the Alhaji Abdulmumni Vaki led State Working Committee of the party for screening, the statement said by National Secretary of the group, Mr Collins Edwin, said.